Im wanting to make these tonight but our food processor isnt big enough! 🙁 Would it work in a kitchenaid mixer? So for CTC 2.0 make the gingerbread cereal recipe with only cinnamon as spice?Do I take anything from the CTC original versions recipe? Or just the gingerbread cereal recipe to the T? Minus molasses and spices? I really want SUPER CRUNCHY cereal 😂 so I’d rather go for the crunchier one. Is it posssible to store this in an airtight container? How long do you think it would be good for? Yippee!! So glad I found this! 😁 I’m paleo so don’t use xantham gum. I know you mentioned flax meal but is there anything else that would work? I’m new to all this … gelatin?! Or am I sounding crazy?!! Hi Jennifer! So glad you found us! Gelatin would make them chewy, so it wouldn’t quite work here… I would suggest using flax meal for this! xo! Thanks Paola. Would that make them crumbley? The dough is slightly more fragile, but if you’re having trouble handling it you can always pop it in the fridge for an hour and you should be good to go! This was great but I got very different nutrition info when I put it in my fitness pal app. It says it has a lot more carbs. It says for 10 servings it’s 7.4 carbs. Hi Brook! Did you subtract the sugar alcohols from that? Looks good but I dont know gram measurements. Perhaps the recipes can be given in both grams and cups/Tablespoon/teaspoon for those who live on the other side of the pond???? Hi Val! They are 😉 Just click on US Customary at the bottom of the ingredients and you’ll get it in cups! What does everyone use for milk? 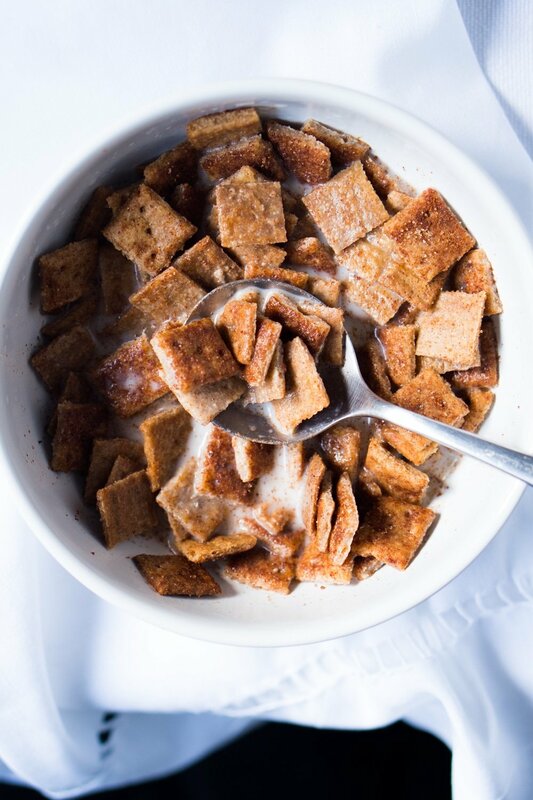 This cinnamon crunch cereal is delicious! I like to eat cereal at night before I go to bed and I have really missed cereal since going low carb. Thanks so much for the recipe! I just have plain old stevia, can I use that? Hi Shrey! If plain old stevia agrees with you and you enjoy the taste, then go for it! My one suggestion is that you sweeten it to taste at the end and that you increase the coconut flour by at least 1 tablespoon to make up for the loss of volume of the Swerve. The dough needs to be firm for it to crisp up. xo! Awesome I’ll give it a try!! Thank you!! The only thing I have around is stevia; can that be used as a sugar replacement? Hi Caroline! Which stevia do you have around? In the end it’s up to your taste preferences, if you like stevia go for it (I find myself that a brands such as SweetLeaf do leave behind some bitter aftertaste). Has anyone made this with xylitol? I’m so excited to try this! Can it be frozen and used immediately from freezer? Also serving size says 30g. What is that exactly? Thanks so much!! Hi Shannon! We’ve actually never tried freezing it rolled out already… what we did was freeze a round, thaw in the fridge overnight and roll it out etc. Though given that these are essentially cookies, I don’t see why not?! You’ll probably need to up the baking time a couple minutes though. And on the 30g serving size, we just went ahead and weighed it. So I cannot give you a cups estimate (as that would also vary quite a bit from how one person measures it to another). But what I can tell you (and I don’t know if this helps), is that 30g is 1/10th of the entire batch. Any Keto (or non-Keto) almond flour replacement suggestions besides sunflower flour (something I could find more easily)? Hi Helen! I believe we had two different Amy’s there! 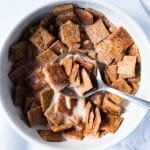 Can I suggest that if there’s an almond allergy at hand (and keto is not an issue) that you give our gluten free cinnamon toast crunch a go? It has substitutions at the bottom for buttermilk etc, and you can always still make it with Swerve or a low-carb sub rather than the cane sugar. But I must saw that the raw honey there is very nice! I meant Paola, not Amy! I am currently doing keto, so I’m curious whether there are other other almond replacements besides sunflower seed flour? I don’t have an issue with coconut but saw on an earlier comment that you didn’t suggest using coconut flour only. 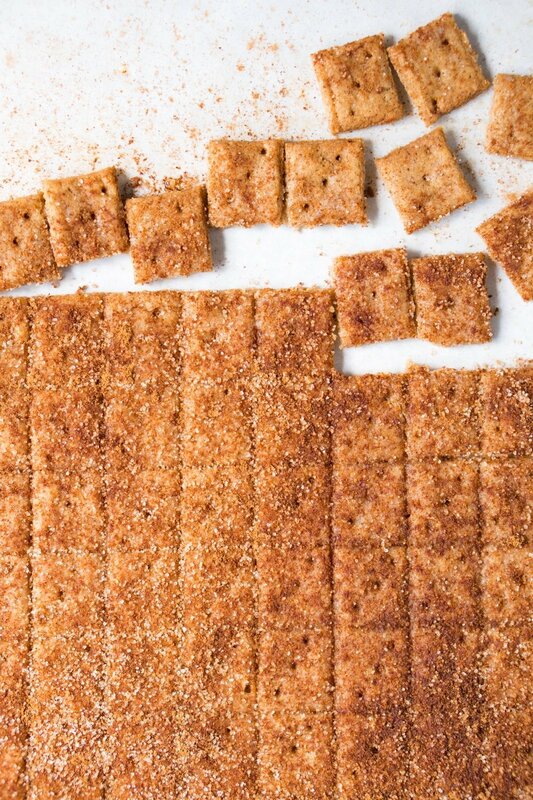 The issue that I had when I tried it with all coconut flour was that they never crisped up. The flour ended up absorbing the liquid, never drying out and giving it an ‘eggy’ consistency… not ideal. Unfortunately I have not found any other keto flour substitutes for almond flour other than sunflower seed… which if you live in the US you can order it through amazon? But you can also make it yourself by grinding sunflower seeds in your food processor (just be careful they don’t turn into butter!). 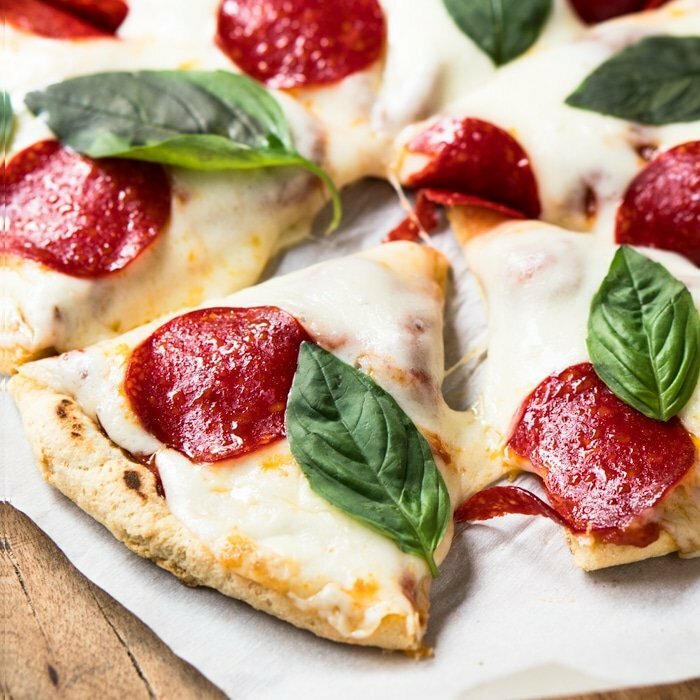 We definitely need another keto flour option discovered ASAP! My 7 and 9 year olds said this actually tasted like real cereal! So kudos for this recipe! Oh man I sure would love to try these but can’t due to being allergic to coconut … is there anything that would be a good replacement for it by chance? Is it possible to substitute all coconut flour or something else (but what?) for the almond flour? Hi Jennifer! We weren’t too excited when we tried an all coconut version. But have you guys tried sunflour (sunflower seed flour?). We have yet to try it ourselves, but we have heard from a couple of readers that it makes a good sub! Hopefully it can help you guys! xo! I’ve made a handful of your recipes and they’ve all been excellent by any standard! thank you for making this woe actually enjoyable. Hi Molly! So good to hear you’re enjoying our recipes! And agreed, we most definitely find this woe easier when you enjoy what you eat 😉 xo! Ooh chocolate would be amazing. I don’t have a scale so can the “gram” measurements be approximated into “cup” measurements? Hi Lekita, just click on US Customary at the bottom of the ingredients and you’ll get it in cups 😉 xo! I would imagine this is what CTC would taste like if it was made old school with non of that processed junk. And they’re actually VERY FILLING! So THANK YOU! If you choose the US customary and not metric calculations it changes on the screen but when you print, it converts back to Metric. Any way to fix? Hi Tammy! Thank you for giving us the heads up on this! I’m checking this with the developers of our recipe software… but it might not be an instant fix. Can we talk you into just taking a screenshot of the cups for this time? xo! Can we get this in not grams? No idea how much 30g is for a serving or for measuring the flours. Hi Stacy! Just click on US Customary at the bottom of the ingredients and you’ll get the recipe in cups. xo! I tried to click for US measurements, but not everything switched over. It still left some of the measurements in grams, mostly just the flours. Can you help with this? Really anxious to try this. My husband is really “chomping” at the bit. Thanks for the recipes. They all look sooo good. Hi JoAnne! I just checked and something is probably not loading right on your end. But here you go! 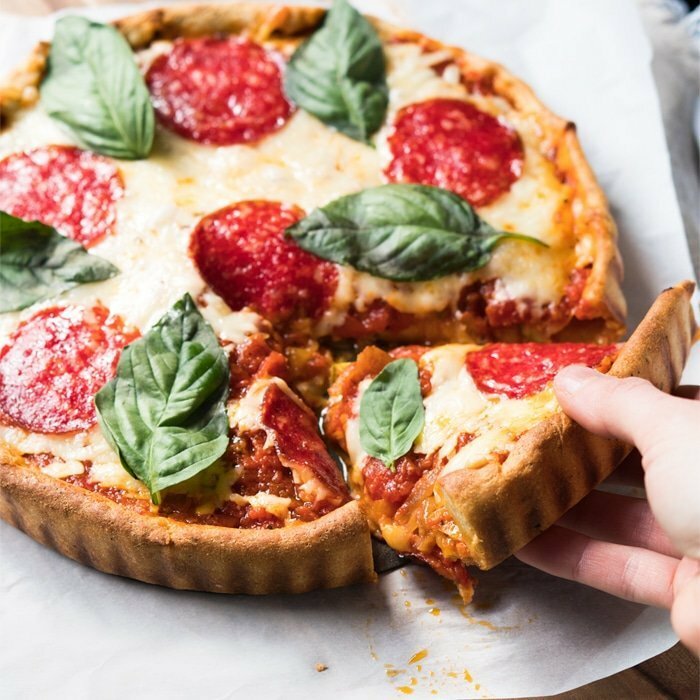 This looks delish, but Im getting confused reading these reviews and replies… The US measurements in your replies are not corresponding to the US conversion measurements listed above in the main recipe. You’ve replied 1 1/2 cups almond flour. The recipe above says 2 cups. Below you reply 9 tablespoons of butter, above it say 6 tablespoons. Can you please validate? Hi Amanda! As stated in the post the recipe has been updated this year, so you’re reading comments from before. Just stick to the recipe card! 😉 xo! I don’t get anything at all when I click on that and never do on any of your recipes, so I tend to not make them. Oddly enough with all the internet has, finding a grams conversion chart is almost impossible. Can you substitute Guar Gun for the Xanthan Gum? Hi Shana! We haven’t tried it with guar gum, but it should work relatively well (might be a bit crumblier though!) xo! My one complaint is that it’s hard to resist not shoving the entire batch in your face! 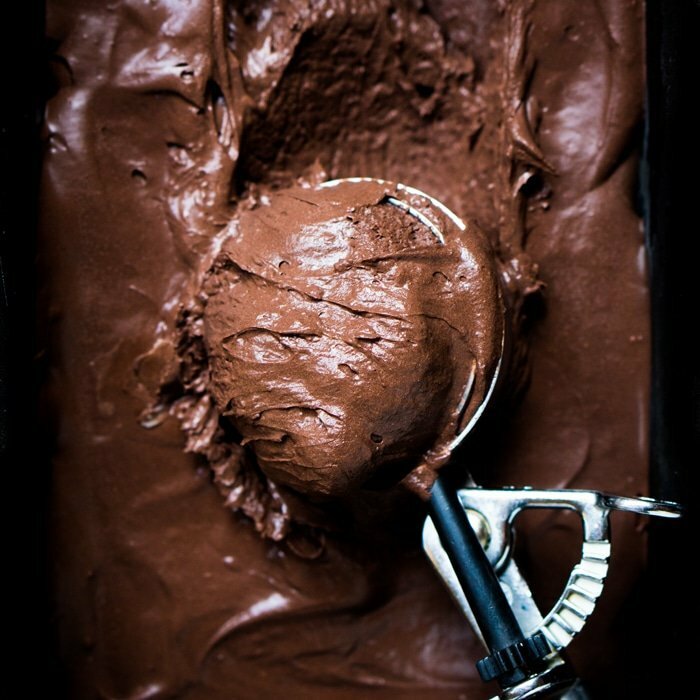 I have terrible self control, so I’ll be freezing the dough in portions… thanks for a great recipe! Hahahaha… yup, we experienced the same ‘problem’. Here the suggestion to freeze ;)! Glad you loved it too though! XO! And here I thought I would be the first one to review! Behold the power of CTC lol! So this was fantastic! And I actually found the taste to be fairly spot on?! 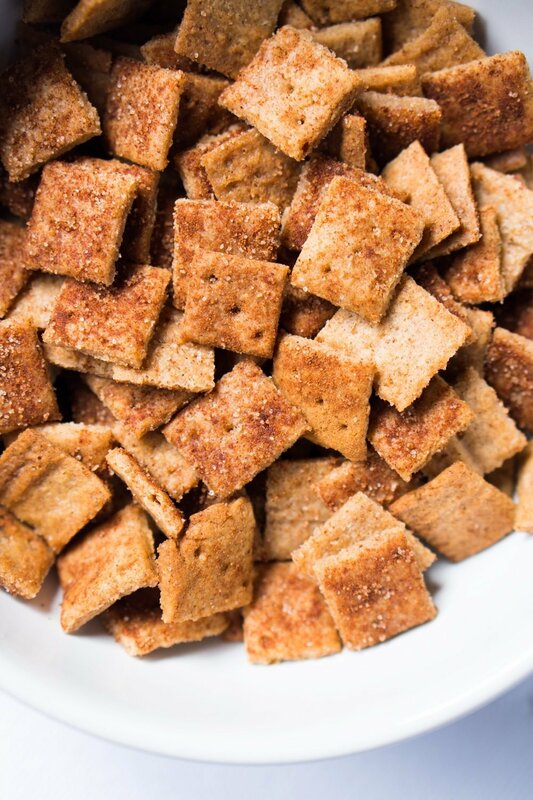 So maybe not exactly the same, as mentioned refined sugars and carbs… but it’s definitely still cinnamon toast crunch! And I can give it to my daughters’ for breakfast tomorrow with a clear mind! so while not exactly like the boxed cinnamon toast crunch, they are delicious! cereal craving satisfied and my son loved it as well! will make again! Glad both you and your son loved them Marge! Thanks for reporting back! xo! Just to get things straight (because I’m going to whip them up RIGHT NOW! ), you cook for 4 minutes, brush with butter and sprinkle with cinnamon sugar, and then you bake for 6 to 8 more minutes? So a total of 10 to 12 minutes right? Hi there again Jennifer! hahaha we LOVE this recipe tbh! You got the timings right! 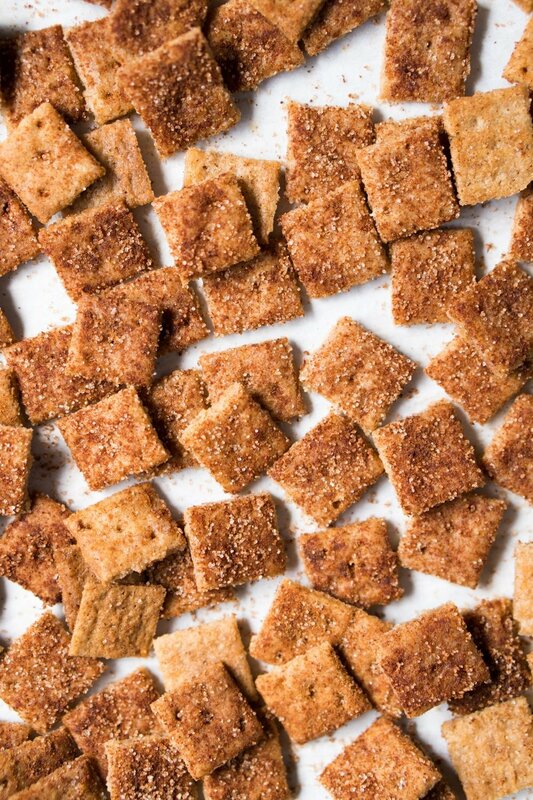 We found that the butter+Swerve+cinnamon combo toasts a bit too quickly, so you need to bake them for a few minutes first and then get them back in to crunch up! xo! AMAZING!!! I haven’t had them in about 6 years but I would swear they taste the same! THANK YOU they’re so awesome! I was afraid of burning them, so I think I’ll leave them in a bit longer next time. I took them out after 10 mins and they didn’t crunch up completely. But with milk it made no difference really! Thanks once again!